Leading South Asia experts at US universities have warned top tech firms to be cautious in doing business with India as India's Hindu Nationalist Prime Minister Narendra Modi prepares to visit Silicon Valley to promote "Digital India" in September 2015. As faculty who engage South Asia in our research and teaching, we write to express our concerns about the uncritical fanfare being generated over Prime Minister Narendra Modi’s visit to Silicon Valley to promote 'Digital India' on September 27, 2015. Prime Minister Narendra Modi’s visit to Silicon Valley highlights the role of a country that has contributed much to the growth and development of Silicon Valley industries, and builds on this legacy in extending American business collaboration and partnerships with India. However Indian entrepreneurial success also brings with it key responsibilities and obligations with regard to the forms of e-governance envisioned by 'Digital India'. We are concerned that the project’s potential for increased transparency in bureaucratic dealings with people is threatened by its lack of safeguards about privacy of information, and thus its potential for abuse. As it stands, 'Digital India' seems to ignore key questions raised in India by critics concerned about the collection of personal information and the near certainty that such digital systems will be used to enhance surveillance and repress the constitutionally-protected rights of citizens. These issues are being discussed energetically in public in India and abroad. Those who live and work in Silicon Valley have a particular responsibility to demand that the government of India factor these critical concerns into its planning for digital futures. We acknowledge that Narendra Modi, as Prime Minister of a country that has contributed much to the growth and development of Silicon Valley industries, has the right to visit the United States, and to seek American business collaboration and partnerships with India. However, as educators who pay particular attention to history, we remind Mr. Modi’s audiences of the powerful reasons for him being denied the right to enter the U.S. from 2005-2014, for there is still an active case in Indian courts that questions his role in the Gujarat violence of 2002 when 1,000 died. Modi’s first year in office as the Prime Minister of India includes well-publicized episodes of censorship and harassment of those critical of his policies, bans and restrictions on NGOs leading to a constriction of the space of civic engagement, ongoing violations of religious freedom, and a steady impingement on the independence of the judiciary. the primary reason for these people to oppose Mr.Modi is more due to coercion from various radical Islamist organisations (I refer to Islamist - not Islamic) prevalent in many US universities. Most of them like CARE etc are just there funded by Saudi Arabia and being run by Pakistani students to push Islamist agenda. Nobody takes serious look at them. They were even flashing IS salute (single finger) in recent campus rallies. Just wait till Modi sweeps the whole of Silicon valley off its feet. If he can do it in Dubai, why not USA? 19640909rk "..Mr.Modi is more due to coercion from various radical Islamist organisations (I refer to Islamist - not Islamic) prevalent in many US universities." Do you know that the bulk of the signatories on the letter against Modi are Hindu professors from India? Why are they so afraid of a few "Islamists" on US campuses? Do you think their situation is even remotely like that of the professors in India who are afraid to speak their minds because of threats from Modi-loving Hindu Nationalist thugs on Indian campuses? What is surprising about this ? These Indian professors are no different than left leaning professors in American Univ who will always find fault with America's foreign policy and support Islamic terrorism as a reactionary tool. The good thing is that , such leftism, has been thoroughly rejected in recent times in Europe, India and soon-to-be in USA tool. Cameron is hardly left leaning now. Watch until Hillary takes over. "Just wait till Modi sweeps the whole of Silicon valley off its feet. If he can do it in Dubai, why not USA?" See, the problem is that most fellows who signed the document never bother to read it. Most sign it because some of their friends signed it. It has happened to me also. Sometimes people of my area come to me with some petition against some govt. fellow and ask me to sign it. On seeing so many signatures I also sign it not knowing what is in there. I just ensure that it will not harm me in future. Neal: "See, the problem is that most fellows who signed the document never bother to read it." The signatories are serious academics most of whom are Hindu professors from India. Do you think they would take it so lightly as to sign a serious letter so casually? "Do you think their situation is even remotely like that of the professors in India who are afraid to speak their minds because of threats from Modi-loving Hindu Nationalist thugs on Indian campuses?" There is not much Hindu nationalist activities in Indian universities as you seem to suggest. There is more of left wing politics. Kindly do some research. Prime Minister Narendra Modi’s visit to the Silicon Valley next month to woo its movers and shakers to provide heft to his Digitial India initiative, has met with its first roadblock with several leading academics in American universities advising IT firms to exercise caution when engaging with the Indian Government. While Mr. Modi will be seeking to build on the Indian connect, the list of Silicon Valley giants is emblazoned by the names of Sundar Pichai chief executive officer of Google and Satya Nadella who heads Microsoft, the academics have taken the opportunity to remind them of their responsibilities to the forms of e-governance proposed by Mr Modi’s plans of digitisation. The academics, write that it does not just disregard safeguards about privacy of information but also carries with it the threat of surveillance that Indian citizens will be subjected to. On the other hand, in a signed statement, the academics have drawn the attention of the firms to the Modi Government’s “disregard for human rights and civil liberties, as well as the autonomy of educational and cultural institutions.” The signatories include Columbia University's Akeel Bilgrami, Stanford University’s Thomas Blom Hansen and the University of Chicago’s Wendy Doniger. In particular, the statement questions the Indian’s Government’s track record in the last one year on several issues ranging from censorship, bans and restricting NGOs from engaging with the public, to ongoing violations of religious freedom as well as attempts to curtail the independence of the Judiciary. The academics also questioned the restrictions to academic freedom like the Tata Institute of Fundamental Research, the IITs, IIMs, Nalanda University, as well have questioned questionable appointments made to premier institutes like the Indian Council of Historical Research (ICHR), the Film and Television Institute of India (FTII) and the National Book Trust. Apart from granting anticipatory bail to Teesta Setalvad and Javed Anand in the case against them for violating foreign funding rules, the Bombay High Court has obliquely warned the Modi government and its agencies not to allow a citizen’s “different point of view” to colour the investigation process. The court also made it clear that the activist couple’s remaining free would not amount to a threat to “national security and public interest” as the Central Bureau of Investigation had charged. The judge said there was in fact no need for custodial interrogation of Setalvad and Anand at all since the CBI’s case was based entirely on documents which they said they already had in their possession. Organisations led by Setelvad which have been at the forefront of the fight to secure justice for the victims of the 2002 riots in Gujarat. They became the target of close financial scrutiny by the CBI after an FIR was lodged against them following a letter from the Gujarat government to the Union Home and Finance ministries alleging violations of the Foreign Contributions Regulation Act. Among the allegations levelled against them is a case of fraud related to a proposed plan to build a memorial for the victims of the Gulberg Society killings, as well as embezzlement of funds, none of which have been proven despite the raid conducted on Setalvad’s premises on July 8, 2015. Setalvad and her supporters have alleged that the CBI was seeking her custodial interrogation in order to ensure she was not able to devote time to the crucial Zakia Jafri case, in which the widow of a former MP killed by riotous mobs in Ahmedabad in 2002 has demanded the prosecution of Narendra Modi, who was Chief Minister of Gujarat at the time. The Special Investigation Team set up by the Supreme Court to probe the charges decided there was not enough evidence to charge Modi; Jafri and Setalvad are currently appealing this finding, and a lower court’s decision to close the matter, before the Gujarat High Court. Additional Solicitor General Anil Singh argued in court that Sabrang Trust run by Setalvad was not only acting against the interest of the state but was also receiving foreign contributions to do the same. This, he stated, was a “threat to national security”, and therefore both Setalvad and her husband should be detained for custodial interrogation. In its verdict, the court stated that “Prima facie it appears that there is some misuse of amount they received from the (Ford) Foundation for which (Teesta and Javed) are undoubtedly answerable”, but went on to reject the CBI’s claim that their activities amounted to any threat to sovereignty and integrity of the nation. It further declared that since the case is largely based examination of accounts and documents, custodial interrogation of the accused was not necessary. India registered 7% growth between April and June on Monday, making it one of the world’s fastest-growing economies, according to official data. But other key indicators of economic vitality aren’t as positive. Vehicle sales last quarter didn’t show the kind of growth you would expect from an economy expanding at a rate of more than 7% per year. Car, truck and two-wheeler sales are good indicators of consumers, corporate and farmer sentiment respectively. Overall vehicles sales barely budged last quarter, rising just 1% to 4.89 million vehicles. Passenger vehicle sales were up 6.17%, commercial vehicle sales were up 3.55% and two-wheeler sales were up just 0.64%. Indian officials had hoped for a pick-up in overseas demand for Indian-made products as Western economies gathered momentum. But the country’s exports have fallen for eight months in a row through July, underscoring continued stress in global economies. In the year ended March 31, India’s exports totaled $310.5 billion, falling about 9% short of the $340 billion target. In the first four months of the current fiscal year things haven’t improved: goods exports have recorded a 15% decline–compared with the same period last year–to $89.83 billion. China’s move to devalue its currency has given its producers a competitive edge, damping export prospects of other economies, including India. In addition, the sharp drop in global crude oil prices, while good for India’s import bill, has come as a major downer for Indian petroleum product exports, which make up a big chunk of the South Asian economy’s total shipments. The Indian currency hit a near two-year low against the dollar last week in the midst of the global selloff and was among the worst performing currencies in Asia. Fear among investors that the slowdown in China could cause a global slump was the main drag on the Indian currency. Analysts say the depreciation in the rupee is necessary to keep India’s exports competitive. They expect some more weakness later this year, depending on the U.S. Federal Reserve’s decision on lending rates. Foreign investors became big sellers in the Indian debt market in August, putting pressure on the rupee as they took dollars out of the local market. The benchmark Sensex index was one of the top-performing indexes last year, but so far this year it has failed to shine. Since mid-2014, investors bought stocks on hopes that the economy would rise faster and boost profits. But that outcome has been elusive and analysts have started cutting their Sensex targets. Ambit Capital now sees the Sensex falling to 28,000 points, down from its earlier target of 32,000. If the Chinese devalue the yuan again, the Indian stock market could fall further. Profits at big companies have barely budged since Prime Minister Narendra Modi came to power in India last year. The chart above shows the percentage growth of profits of companies in the benchmark Sensex index compared to a year earlier. According to a Bank of America Merrill Lynch report, the profits of Sensex companies rose by only 1% during the April through June quarter, compared with 24% growth in the same period a year earlier. Utilities and cement companies have dragged the average earnings growth as big private sector and government projects remained stuck waiting for government approvals. Metal and refining companies suffered due to the decline in oil and commodity prices. It's amazing to see so many Indian professors in renowned American universities unlike Pakistanis ..::it's sad though for you Pakistanis that the number of Pakistani professors are so few or negligible. Anon: "it's sad though for you Pakistanis that the number of Pakistani professors are so few or negligible." Do you know how many Pakistani professors are teaching in US? What makes you think their numbers are negligible relative to their population size? There are 3.2 million Indians vs 410,000 Pakistanis in America, a ratio of 8:1, according to US Census. r_sundar: "I contacted a couple of them, and both of them responded back with similar response - Their friend requested to include their name as well, and were surprised it used out of context." These are serious academics, not flakes and cowards. I accidentally deleted my previous post. Nevertheless, these is no doubt in my mind all of them are very serious academicians, and are no fakes & cowards. There were a very few determined Modi haters in this group, who used their power of friendship to convince their friends to do them a favor by including them in the list (and they unwittingly did so- this I just confirmed from two serious academicians in the list above). There are a very few Modi Haters for sure, but this is trumped by a super vast majority who like him as well (Muslims inclusive). The registration requests for the SAP centre event has already crossed 40,000 from what I heard last, and it can seat only 30,000 I believe. This kinds of arguments are not new. There were many apologists and supporters of Hitler and Mussolini in 1920s and 1930s. So there is precedent of people like Dhruva Jaishankar who support and empower Nazis and Fascists like Narendra Modi. Do you know "begging the question" logic" ? Before you label Modi as a Nazi, you need to prove that he is one. In his 16 month rule, less killings has taken place there than in land of pure Pakistan. What would you call rulers of 1971 genocide ? Wanderer: "Before you label Modi as a Nazi, you need to prove that he is one. In his 16 month rule, less killings has taken place there than in land of pure Pakistan. " Modi represents the Sagh Parivar which is responsible for the killing of tens of thousands of Muslims in India over the years. Memories of Gujarat 2002 are still fresh in the minds of most people. The Hindu Nationalist philosophy is a copy of Nazi and Fascist philosophies. Hindu nationalists in India have a long history of admiration for the Nazi leader, including his "Final Solution". In his book "We" (1939), Madhav Sadashiv Golwalkar, the leader of the Hindu Nationalist RSS (Rashtriya Swayamsevak Sangh) wrote, "To keep up the purity of the Race and its culture, Germany shocked the world by her purging the country of the Semitic races -- the Jews. Race pride at its highest has been manifested here. Germany has also shown how well-nigh impossible it is for races and cultures, having differences going to the root, to be assimilated into one united whole, a good lesson for us in Hindusthan to learn and profit by." A very pro-India American author and analyst Christine Fair has compared BJP to KKK and called Modi its "Grand Wizard". She has been called a "threat to India's national security" and a prosecutor wants to send her to prison. Her house and office have been raided a number of times, her bank accounts have been frozen and she has been relentlessly vilified and threatened on social media. Teesta Setalvad, the country's best-known social activist, has been accused of receiving funds illegally, violating foreign exchange rules, embezzling funds raised from victims of religious riots and coaching witnesses. But investigators have failed to press charges in any of the seven cases they have been investigating against her since 2003. And the courts have stood by her: she has been given bail about five times after prosecutors sought to question her in custody, and in July, a Mumbai high court judge rubbished a prosecution allegation that she was a threat to national security. "The reason the government thinks she should be locked up is, because this tenacious woman refuses to allow India, or the world, to forget what happened in Gujarat in 2002," says Kalpana Sharma, an independent journalist. The 2002 riots in Gujarat left more than 1,000 people, mostly Muslims, dead and were among India's worst outbreaks of unrest in decades. The rioting began after 60 Hindu pilgrims died in a train fire blamed on Muslims in the town of Godhra. The Hindu nationalist BJP state government, then led by Narendra Modi, was accused of not doing enough to bring the violence under control - an allegation he has consistently denied. The same year Ms Setalvad and her husband Javed Anand formed a non-profit organisation to provide legal aid to victims of mass crimes like religious riots and terrorism. Working with human rights organisations, her group Citizen for Justice and Peace has secured 120 convictions in 68 cases involving nine major riot incidents - a record for convictions for any religious riot in India, according to a top lawyer. Mr Modi swept to power in general elections last May, but this has not deterred Ms Setalvad from doggedly continuing her campaign to hold the prime minister criminally responsible for the riots. "The last few months have been particularly harrowing," Ms Setalvad, 53, tells me sitting in her cramped office overflowing with papers and books. The office - from where she runs her rights group, a secular education initiative and a publications office - is inside a leafy family bungalow in Mumbai's upscale Juhu neighbourhood, where she, daughter of an eminent lawyer, is a fourth generation resident. In April and May, officials from the home ministry came and inspected their papers. July was worse. First, 16 officers from the federal Central Bureau of Investigation (CBI), which reports to Mr Modi's government, raided her house and office for 22 hours. In the end, she says, they took away up to 700 pages of documents from four files. The activist says fighting the Gujarat riot cases - two trials are still going on, apart from the Zakia Jafri case - and defending herself has meant that she spends a lot of time these days meeting her lawyers and going to courts. Money is tight and she says the family - her two children are in college - is living off their pension savings. "But the fight has to go on. There is a culture of impunity around mass violence in India. Institutions are compromised, activists are attacked. There's also wilful amnesia about past crimes. Our work has paid dividends, but we have to keep fighting," she says. For nearly three months, the roughly 400 students here have been on strike, protesting the Indian government’s appointments of loyalists with dubious credentials – including an actor who appeared in B-grade adult movies and a maker of right-wing propaganda films – to the state-funded school’s governing body. The skirmish is over not just the future of the foremost film academy in the world’s biggest movie-making nation, a breeding ground for Oscar winners, expert technicians, darlings of the international festival circuit and stalwarts of Bollywood and India’s thriving regional cinema. It also represents the biggest showdown yet over Prime Minister Narendra Modi’s efforts to reshape India’s cultural institutions to fit his conservative Hindu nationalist agenda. During 16 months in power, Modi has packed the national censorship board with political supporters; named an obscure historian who believes in a literal reading of Hindu mythology to lead a prestigious research institute; and created a government ministry to promote yoga and traditional medicine while docking the country’s overall health budget. “It’s obvious that these moves are connected,” says Jabeen Merchant, a film editor and alumna. “Every government nominates people it likes; that’s inevitable. But this particular government is doing it in such a way that nobody can miss the agenda that’s being promoted. The confrontation escalated early this month after a group of students refused to let the institute’s director, Prashant Pathrabe, leave his office one night. They formed a chain and blocked Pathrabe’s door in a type of civil disobedience known as a gherao, or encirclement, a favourite tactic of Indian labour activists in the 1960s. Police arrived to free Pathrabe, who filed charges the next day, saying he had been subjected to “mental torture”. That night police arrested five students, who were freed on bail. Supporters of the strike accused police and administrators of overreacting, while those sympathetic to Modi’s government called the students insubordinate. “They are not discussing with the government; they are trying to dictate,” says Uday Shankar Pani, a 1974 graduate who was a first assistant director on Richard Attenborough’s Gandhi. At the core of the dispute is the peculiar status of the institute, which is formally a unit of India’s Ministry of Information and Broadcasting, founded in 1960 to train skilled workers for a nascent film industry. The full-time professors are civil servants. On the campus in the bustling western city of Pune, everything is subsidised, from the US$1,100 annual tuition and fees to the cafeteria’s US$1 chicken curry. New Delhi’s view of the institute as a polytechnic has long clashed with students’ creative aspirations. The school vacuums up national film awards, and its graduates include some of the leading lights of Indian film and theatre, including actor Anupam Kher, director Shyam Benegal and Resul Pookutty, who won a sound mixing Oscar in 2009 for Slumdog Millionaire. It has also developed a reputation as a hotbed of protests – “‘One strike a decade’ is an unofficial institute slogan”, a professor says – although they never before spilled into national politics. Good to see so many Indians in high positions in academia! Yup it is notable that everyone in your list are either english or humanities professors or should i say guys who will never find gainful employment back in India. Indians really don't care about this nuisance. Anon: " Yup it is notable that everyone in your list are either english or humanities professors or should i say guys who will never find gainful employment back in India"
Do you think the people who built modern human civilization were all STEM or IT grads? Do you think Modi and his Hindu Nationalist gang are all great scientists and engineers? "Do you think the people who built modern human civilization were all STEM or IT grads? Do you think Modi and his Hindu Nationalist gang are all great scientists and engineers?" Maybe not. But he gets support from all great scientists and engineers. Also Riazbhai, kindly refrain using names like " Hindu Nationalist gang". You will end up cheapening your reputation. not here to prick your bubble. But go through this article. This looks like a very high profile visit waiting to happen. The people you painfully listed will not even matter. Beleive me, most of them will watch Modi's speech at home with their families.Like I said,most likely they have signed out of coercion from Islamist radicals who abound toady on American universities. "Beleive me, most of them will watch Modi's speech at home with their families"
Hitler and Modi have much in common. Hindu Nationalists have long admired Hitler and his "final solution". Like Hitler, Modi too is very popular with his country's people at home and abroad. Indians need to listen to dissenting voices before Modi leads them to massive death and destruction. "Hitler and Modi have much in common. Hindu Nationalists have long admired Hitler and his "final solution". Oh please! Give me a break! Lot of hot air that's all! iDesi: "Oh please! Give me a break! Lot of hot air that's all! " Nazi memorabilia, including Adolf Hitler's biography Mein Kampf, are growing in popularity in India, according to the BBC. The marketing chief of Crossword, a national chain of book stores in India, told the BBC that Mein Kampf has "been a consistent bestseller for us." Recently, a very pro-India American analyst Christine Fair has said that India's Hindu Nationalists (RSS, BJP) are like the Ku Klux Klan (KKK), the violent post-civil war white supremacist organization made up mainly of former southern confederate supporters, in the United States. The difference is that while KKK has very little popular support in America, the RSS's political wing BJP recently won general elections by a landslide, making Narendra Modi ("KKK wizard") the prime minister of India. Silicon Valley has forgotten the Modi of 2002. This is partly because the War on Terror has normalized state violence in America. The idea of denying Modi a visa to the United States now seems bizarre: the land of remote-controlled drone strikes and Ferguson is hardly in a position to refuse entry to anyone with blood-stained hands. To the contrary, Modi in America is perfectly fitting. And what better place to assemble the tools for a “Digital India” without privacy safeguards than the Silicon Valley that has given us a “Digital America” serving the NSA? Those professors are from the field of Arts. What do they know about Digital India? Mitra: "Those professors are from the field of Arts. What do they know about Digital India?" Technology policy issues are at least as important as development issues, if not more so. These accomplished educators and scholars know human history and the consequences of enabling the likes of Modis. Human history shows the horrible consequences of the abuse of technologies like nuclear, biological and chemical technologies. Digital technologies in wrong hands can be just as dangerous if not more so. Such unconstrained abuse must be stopped by not enabling the abusers. since you are using so many big words would you mind telling me what exactly do you think Digital India is? Mitra: "since you are using so many big words would you mind telling me what exactly do you think Digital India is?" Do you know what US NSA surveillance program does? And all of the serious privacy and abuse issues it has raised? Well, Digital India will enable Modi and his fellow Hindu extremists to do worse things with non-Hindu and liberal Indians who oppose Modi's policies. 19640909rk: "There is not much Hindu nationalist activities in Indian universities as you seem to suggest." "Sangh-affiliated Hindu Students Council (HSC) student groups were present on 78 U.S. and Canadian university and college campuses, including those of Duke University, Emory University, Johns Hopkins University, Massachusetts Institute of Technology, McGill University, New York University, University of Wisconsin at Madison, Stanford University, Syracuse University, University of California at Berkeley, Irvine, and San Diego, University of Ottawa, and University of Texas at Austin and Houston"
As the impasse over Film and Television Institute of India (FTII) issue entered the 100th day, award winning writer Arundhati Roy on Saturday came out in support of the agitating students and said the nation was facing a "collective assault on its IQ" and the situation was way beyond fascism. "We are facing a collective assault on the IQ of this country and this is a part of dismantling our collective intelligence," Roy told reporters at the protest venue in Jantar Mantar. Talking about the FTII row, Roy said sometimes she heard that government is trying to find a solution which also gives them a face-saver. "The situation is quite serious," she said. "When you will dismantle universities like this. When you will overhaul syllabus, when....non scholarly atmosphere will be created where anybody can do anything.... clean ICU's with cow urine, then it is very dangerous," she said. Earlier, while addressing the protesting students, Roy said that comments were being made that Ganesha indicates that plastic surgery was initiated in India, or cow urine to clean hospitals and that culture minister is talking about things like "cultural pollution". Institutions like FTII and Nehru Memorial are under attack, she added. "The situation is way beyond fascism," Roy said. In an apparent dig at actor Gajendra Chauhan, who portrayed 'Yudhidhthir' in tele-serial Mahabharat and whose appointment as FTII chief triggered the protests, Roy said mythological characters are being chosen to head film schools. Speaking to students, who took out a protest march from Mandi House to Jantar Mantar in Delhi, Roy said that she had been asked why she had come there. "I am saying that these kids are the last people standing. They are standing up because we are really suffering an assault on the collective IQ of this nation," Roy said. San Jose, California, 22 Sep 2015 : PM Modi is all set to face criticising billboards when he will visit Silicon Valley on Sep 27. Few billboards targeting him over human rights issues have already appeared on highways in Bay Area of California to welcome him they way he will never like . As part of the #ModiFail campaign, the Alliance for Justice and Accountability (AJA) is using billboards to raise public awareness about Indian Prime Minister Narendra Modi and his administration’s attacks on personal freedoms and human rights in India. AJA hopes this series of billboards in the Bay Area, will inform the American people that Modi’s upcoming Silicon Valley PR tour is being used as an excuse to whitewash his dismal record as Prime Minister, and before that, Chief Minister of Gujarat. The billboards are visible from I-580 in Oakland, I-280 in Daly City, Highway 92 in Hayward, Highway 84 in Newark, I-880 in Newark, I-880 in Milpitas, and Highway 101 in Santa Clara.The billboards highlight ModiFail.com, the AJA’s online report card calling attention to the facts behind some of Narendra Modi’s most egregious failures during his 16 months in office as Prime Minister.India’s celebrated values of pluralism and tolerance are under severe attack since Mr. Modi assumed office as Prime Minister. According to the Modi government’s sources, attacks against religious minorities are up 25% since last year. His own ministers are engaged in a malicious hate campaign against Christians and Muslims. Narendra Modi speaks eloquently of Digital India, but individuals posting comments against Modi or his peers on Facebook, WhatsApp, Twitter, and other social media sites have repeatedly faced arrests; when the Indian Supreme Court struck down the hated “Facebook arrest” law, the Modi government expressed interest in passing replacement censorship legislation to skirt the ban. News that Indian Prime Minister Narendra Modi is slated to hobnob with the Bay Area’s leading tech executives has sparked outrage among human rights advocacy groups. National advocacy group Sikhs For Justice plans to protest Modi’s visit at Facebook’s Menlo Park headquarters on Sunday morning and, later in the day, outside the SAP Center. The group argues that Modi’s tenure as Indian's leaader has resulted in deteriorating religious freedom for its citizens. They allege that he is aggressively trying to turn the world’s largest democracy into a Hindu nation through forced conversion of Muslims and Christians. Sikhs For Justice has also offered a $10,000 reward to anyone who poses specific questions to Zuckerberg and Modi regarding the latter’s treatment of Sikhs. "We urge everyone to remind [Facebook CEO Mark] Zuckerberg that hosting a known human rights violator runs counter to the core American value of upholding religious freedom,” said Gurpatwant Singh Pannun, an attorney and legal advisor for Sikhs For Justice. Modi, who was in the United States last September, is slated to visit Tesla and Google and meet with Indian-American startup founders. He believes that the technological innovation that these companies are known for can help to raise the standard of living in India. Kalburgi, who vocally opposed the Hindu practice of idol worship, is the latest secular thinker to be assassinated in South Asia. His slaying late last month raises questions about freedom of expression and highlights the growing might of religious fundamentalists across the region. Hours after Kalburgi was killed, Bhuvith Shetty, a member of the Hindu militant group Bajrang Dal, tweeted in celebration: "Mock Hinduism and die a dog's death. And dear K.S. Bhagwan you are next." Karnataka boasts one of India's highest literacy rates and includes the technology hub of Bangalore, but it is also home to deeply conservative Hindu groups. Last month in the coastal city of Mangalore, a group of Hindu men spotted a Muslim man speaking with a Hindu woman. They tied him to a pole, stripped him and beat him for nearly an hour, according to police. Two other high-profile rationalists, Narendra Dabholkar and Govind Pansare, were shot point-blank 18 months apart in the western state of Maharashtra. Dabholkar, a 68-year-old activist who worked on behalf of villagers exploited by local gurus and so-called godmen, campaigned for the state government to pass an anti-superstition bill. It's been two years since he was killed in the city of Pune, and no one has been charged. "Fundamentalism in India is growing by the day across religions," Nayak said. "They feel they can scare us into submission but are completely mistaken. The anti-superstition movement in Maharashtra grew stronger after Dabholkar's assassination. "As far as I am concerned, I would rather die speaking my mind instead of letting disgraceful things unfold in front of my eyes." Expressing concern over the dominance of 'rich and powerful people' in politics, besides the soaring inflation rate, Rashtriya Swayamsewak Sangh (RSS) chief Mohan Bhagwat said that India's situation was better during the British rule. "After Independence, the dominance of rich and powerful people in politics and rising inflation have worsened the country's situation, which is worse than what it was during the British rule," Bhagwat said. Speaking at a function organized by Bhonsala Military School (BMS) to celebrate its platinum jubilee year in Nashik on Monday, Bhagwat said, "All political parties were in power some or the other time during the last 64 years since Independence, but the situation has not improved. Hence, citizens must introspect over what went wrong." Stating the importance of imparting education through the mother tongue, he said, "Today, there is an insistence on education in a foreign language (English), instead of education in the mother tongue. As a result, the importance of the foreign language has increased to a large extent in the country." Bhagwat laid stress on the need for imparting military education to students, citing rising threat to the nation. He said, "Even 64 years after Independence, India is being threatened by China and Pakistan. With rising concerns over internal security, we should give top priority to military education to students to make India strong." Bhonsala Military School was founded in 1937 by leader Dr B S Moonje, who also played a role in mentoring RSS founder K B Hedgewar. The BMS, run by the central Hindu military education society (CHMES), is also mulling setting up a flying club and a pilot training institute, besides a centre for service preparation and aeronautic engineering education. "We have received a lot of proposals from states like Madhya Pradesh, Gujarat and Uttarakhand for setting up military schools there and will soon take a call on this issue," Pathak said. BMS students, also called 'ramdandees', earlier gave a salute to Dr Moonje. Bhagwat also released a book, 'Smaran Samaranche', written by Nashikite Girish Takale. Three murders, a suicide and a rash of political appointments at universities have thrown Indian academia into an uproar against the conservative (right-wing) government. Prominent artists, writers, historians and scientists are speaking out against an intensifying climate of religious intolerance and political interference in academic affairs. “What’s going on in this country is really dangerous,” says Rajat Tandon, a number theorist at Hyderabad Central University. Tandon is one of more than 100 prominent scientists, including many heads of institutions, who signed a statement protesting “the ways in which science and reason are being eroded in the country.” The statement cites the murder of three noted rationalists — men who had dedicated their lives to countering superstition and championed scientific thought — and what they see as the government’s silent complicity. Prime Minister Narendra Modi leads the Bharatiya Janata Party (BJP), which won the 2014 general elections in India in a landslide victory. The BJP and Modi, in particular, are aligned with the extremist right-wing group Rashtriya Swayamsevak Sangh, or RSS. (This unholy alliance is comparable to the relationship between the Republican Party and the Tea Party, but the RSS is a paramilitary group with more violent overtones than the Tea Party has shown so far.) Together, the BJP and RSS promote the agenda of Hindutva, the notion that India is the homeland of Hindus and all others — the hundreds of millions of Muslims, Christians, Sikhs and others in this sprawling, secular democracy — are interlopers. “The present government is deviating from the path of democracy, taking the country on the path to what I’d call a Hindu religious autocracy,” says Pushpa Mittra Bhargava , who founded the prestigious Centre for Cellular & Molecular Biology in Hyderabad. 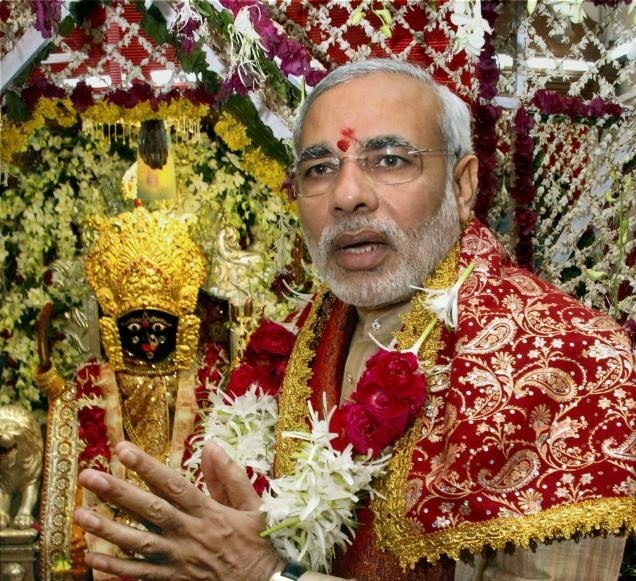 Despite his blatantly anti-secular stance, Modi’s stated goals for economic development are wildly popular, particularly among the country’s majority Hindus. But academics and intellectuals have been protesting the erosions on academic freedom almost from the start. In January 2015, at the 102nd session of the Indian Science Congress, several members of the BJP government led a session on ancient Indian science and claimed that thousands of years ago, Indians had built planes that could fly not just on earth but between planets. There were other outlandish claims — that the elephant-headed Hindu god Ganesha is proof that Indian ancients knew the secrets of cosmetic surgery, for example. Scientists were dismayed, and some did call for the session to be canceled, but their primary response then was still ridicule, rather than outrage. In February 2015, economics Nobel Laureate Amartya Sen stepped down as chancellor of Nalanda University in Bihar, protesting the “considerable government intervention” in academic decisions. That same month, gunmen attacked a left-wing politician called Govind Pansare and his wife; Pansare later died of his injuries. Then, in August, gunmen killed Malleshappa Kalburgi, a leading scholar and rationalist, at his home. “They were a threat, so they were eliminated,” says Tandon. The attacks shocked the academic community and ignited protests from writers, filmmakers and historians; many returned their national awards as a symbol of their dissent.